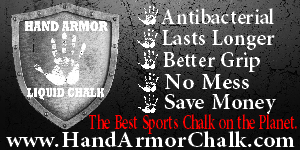 Hand Armor Antibacterial Liquid Chalk is provides a perfect long lasting layer of frictionless protection between you and any bar, use with gloves or on bare skin, for healthy hands and fantastic workouts. In a recent study, gym chalk dust was shown to have adverse health conditions, eliminate the mess and fuss of standard chalk, and keep you and your gym chalk dust free with Hand Armor Antibacterial Liquid Chalk. Antibacterial, there is sweat, bacteria and germs all over equipment at every gym. It’s a waste of time and energy to wash your hands between every set. 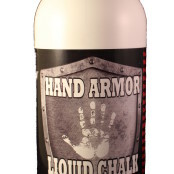 Hand Armor Liquid Workout Chalk kills 99.9% of germs and bacteria. These include diseases like Staph Bacteria, MrSA, H1N1, and Impetigo. 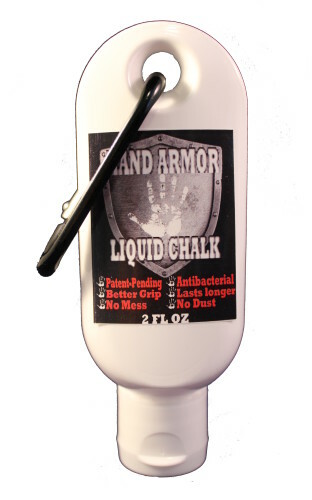 Lasts Longer, Hand Armor Antibacterial Liquid Chalk lasts ten times longer than regular chalk. You no longer need to take repeated trips to the chalk bucket. 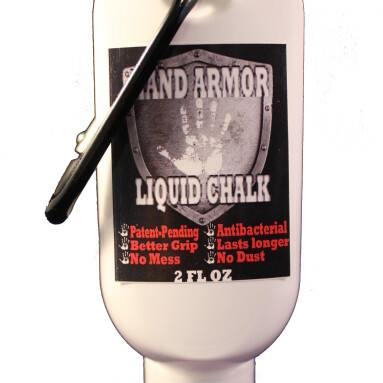 No Mess Since Hand Armor Antibacterial Liquid Chalk is liquid, you’ll eliminate a chalk dust mess on the ground or in your eyes. 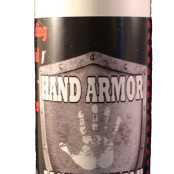 Prevents Blisters Hand Armors unique blend keeps hands dry and friction free. Better than other chalk on the market Compare any other generic chalk on the market. 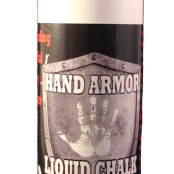 Hand Armor Antibacterial Liquid Chalk uses real chalk, you’ll feel the difference for yourself right away. 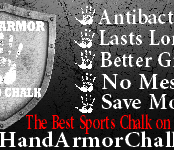 Be the first to review “Hand Armor Antibacterial Liquid Chalk” Click here to cancel reply.